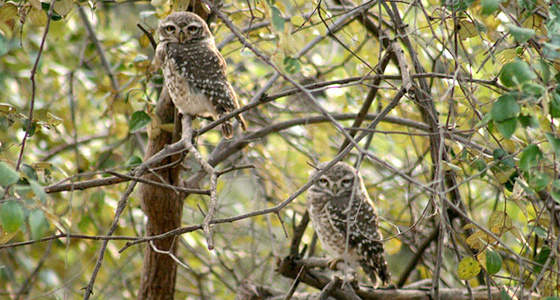 Lies in the Aravalli hills, Sariska National Park was declared a wildlife sanctuary in 1955 and it became a Tiger Reserve under Project Tiger in 1979. The park is one of the major attractions among nature and wildlife lovers because of its incredible natural beauty and bio – diversity. 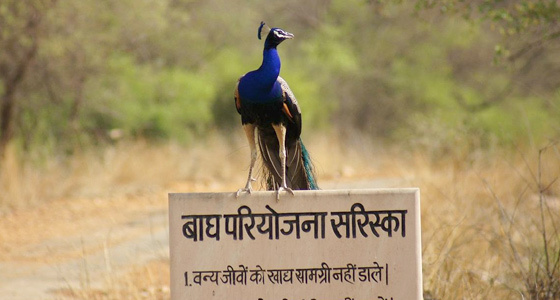 Enjoy a natural walk, wildlife photo shoot, jeep/camel safari and a luxury stay in wildlife resort in Sariska National Park by planning a visit to the park. At Tour My India, we offer 2 nights and 3 days Jaipur Sariska Weekend Tour that will take you to far away from the hustle and bustle of city to a nature paradise where you can relax and spend some quality time in calm and peaceful place. In the morning, we will drive to Sariska Tiger Reserve. On arrival, check-in at the wildlife resort. Rest of the day is free for leisure. You can explore in and around of resort and outskirt of national park or enjoy recreation activities offered by wildlife Resort in the evening during free time. Enjoy dinner and an overnight stay at the wildlife resort. We will get ready for early morning Jungle safari at Sariska Tiger Reserve. After jungle safari, we will return back to the resort for breakfast and lunch. 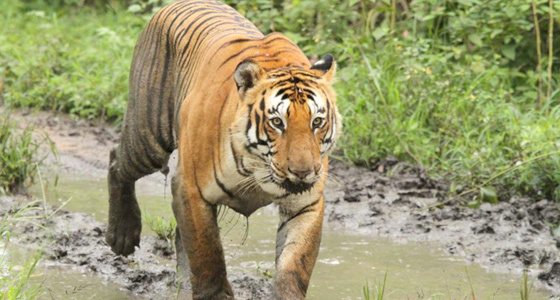 After lunch, again we will take you to Sariska Tiger Reserve for wildlife safari. Enjoy dinner and an overnight stay at the wildlife resort. 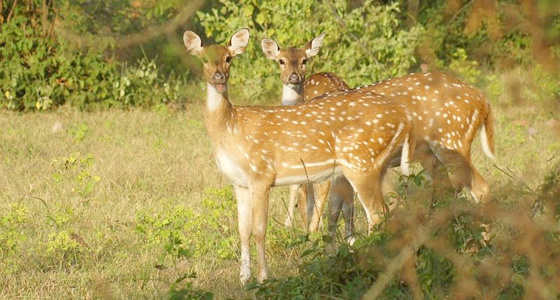 Located in the Alwar district of the Rajasthan, Sariska Tiger Reserve is an ideal place to spot tigers and other wild animals like blue bull, deer, sambar, etc. in their natural habitat. Dhok is the primary tree found in the forest. In the morning after breakfast, we will drive back to Jaipur. On arrival at Jaipur, we will drop you at your own places.